In a twisted social experiment, a group of 80 Americans are locked in their high-rise corporate office in Bogata, Colombia, and ordered by an unknown voice coming from the company’s intercom system to participate in a deadly game of kill or be killed. 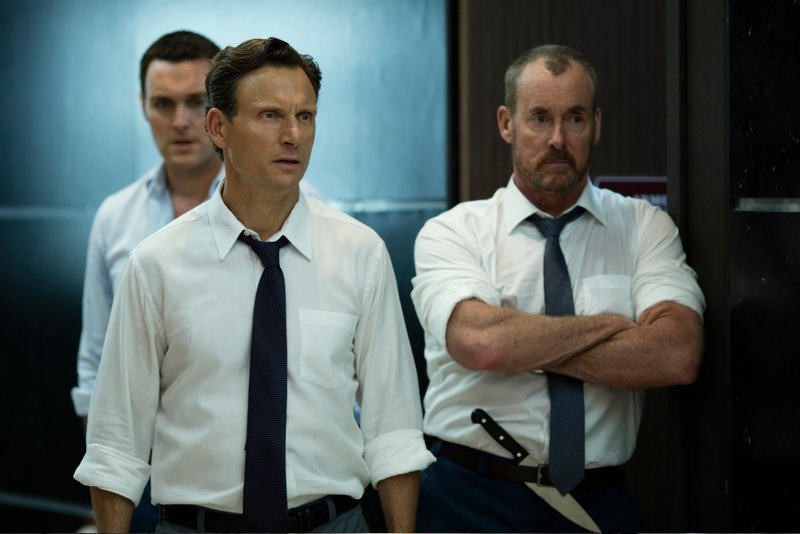 The Belko Experiment was directed by Greg McLean (Wolf Creek) from a script by James Gunn (Guardians of the Galaxy). John Gallagher, Jr., John C. McGinley, Tony Goldwyn, David del Rio, Stephen Blackehart, Adria Arjona, Melonie Diaz and Sean Gunn star.